Home » Browsers » How to Fix » Internet » Web » Windows » Why Some Websites Not Loading on Windows 10? Why Some Websites Not Loading on Windows 10? If some websites not loading on your Windows device, you can use the tips below to fix this problem. The issue appears in different ways: the browser may not open all the sites or only some of them, the problem can occur only in one browser on the computer or in all at once. In this case, the Internet connection is established and other programs (for example, Skype or other messengers) are working fine. 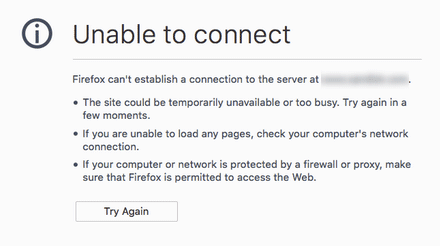 In any case, when you try to open a website, the page loads a long time and then you receive one of the following the errors: Unable to Connect, Web Page Inaccessible, ERR_ TIMED_OUT, ERR_CONNECTION_ CLOSED, Page can not be displayed, The connection has timed out. It all depends on the browser, and the reasons for which there is no access to the site. How to Fix Issues When Some Websites Not Loading on Windows 10 Machine? A common reason why some websites not loading is a misconfigured DNS server or incorrect DNS records. Try to setup the primary DNS server manually by specifying the public DNS servers of Google (8.8.8.8 and 8.8.8.4). Some viruses modify the hosts file to redirect traffic to fake sites. 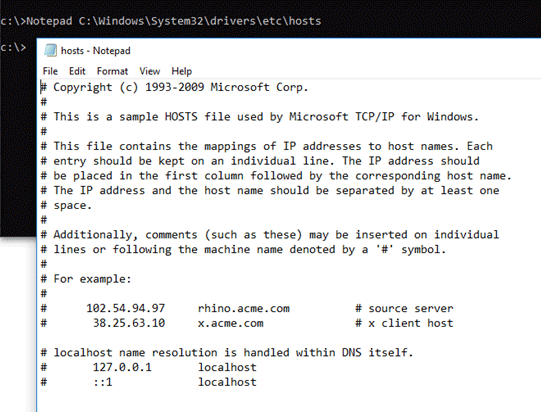 Check if the hosts file contains unnecessary entries (by default, the hosts files do not have static mappings between DNS names and IP addresses). If you see any third-party site addresses that you can’t open, then you need to delete them and save the hosts file. Check your computer with portable antivirus (Microsoft Safety Scanner, Avira PC Cleaner, Kaspersky Security Scan, Dr.Web CureIt). 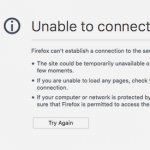 Check the proxy server settings in the browser (How to Fix Can’t Connect to Proxy Server on Windows 10), disable unnecessary plug-ins and extensions. Try to install a different browser (for example, if you have Chrome installed – try to use Firefox). Check the system for loaded dll modules. Open Registry Editor and go to the registry key HKEY_LOCAL_MACHINE\SOFTWARE\Microsoft\Windows NT\CurrentVersion\Windows. Find the Applnit_DLLs parameter. Its value should be empty. If it specifies the path to the dll files, manually remove these files and clear the registry value. After running the command, restart the computer and try to open the website. The MTU (Maximum Transmission Unit) parameter specifies the maximum packet size that can be transmitted over the TCP/IP network without fragmentation. If you use the wrong MTU size, there may be problems with opening some sites in browsers, VoIP failures, a problem with receiving or transferring files over the network. Check the current MTU value in your Windows system and in the settings of the router. Specify the maximum MTU size from your ISP. Most likely you use the value of MTU 1500, try to change it to 1460, or 1420. For 3G/4G USB modem it’s better to set the value to 1476. Also, very often antiviruses and firewalls block sites that are located in their database of malicious sites. In this case, the browser will indicate that the address is blocked by the antivirus. If you still want to go to the site, you need to disable the antivirus, or add an address to the exclusions. It’s not always safe. Browsers themselves can also block malicious websites. In some cases, the connection to the HTTPS site may be blocked by the system or the browser due to an incorrect, untrusted or expired certificate. Try to update the root certificates on your computer or add the site certificate to trusted (unsafe).